Elliott Bennett-Guerrero, MD, serves as medical director for perioperative quality and patient safety at Stony Brook Medicine, where he also maintains responsibilities in the Department of Anesthesiology as a professor and as vice chair for clinical research and innovation. Engaged in the field of anesthesiology, Elliott Bennett-Guerrero, MD, has earned induction into the Association of University Anesthesiologists. As part of its efforts to provide a forum for members to exchange ideas, the Association of University Anesthesiologists (AUA) hosts an annual meeting attended by the field’s leading academic figures. Most recently, these individuals gathered at Grand Hyatt Washington in Washington, DC, for the AUA’s 64th Annual Meeting, which occurred May 4-5, 2017. During the two-day event, anesthesiologists had the opportunity to participate in educational sessions, learn about original research through poster discussion and oral sessions, and attend the President’s Panel, which focused on the potential positive effects of hypoxia. Beyond the educational offerings, the meeting included several social activities, such as lunches and receptions. Registrants also had the option to remain in Washington, DC, through May 6, on which they could enjoy free access to the Aligned Meeting Day of the International Anesthesia Research Society’s 2017 Annual Meeting. The AUA’s 64th Annual Meeting was hosted by Johns Hopkins Medicine and the University of Maryland School of Medicine. In 2018, the Northwestern University Feinberg School of Medicine and the University of Chicago Medicine will serve as hosts of the AUA’s 65th Annual Meeting, which will be held April 26-27 at Hyatt Regency Chicago. To learn more about the 2018 meeting, including details on registering and submitting an abstract, please visit AUAHQ.org. The medical director of perioperative quality and patient safety at Stony Brook Medicine, Dr. Elliott Bennett-Guerrero cares greatly for health and proper exercise. Within the past two years, Dr. Elliott Bennett-Guerrero has completed three Ironman half-triathlons, which include a 1.2-mile swim, a 56-mile bike ride, and 13-mile run. 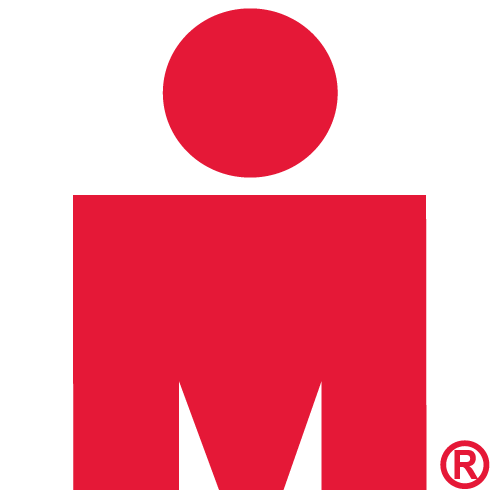 Here are four reasons to participate in an Ironman triathlon. 1. Training creates a life change. When preparing for such a demanding test of strength and endurance, participants often find themselves sleeping earlier and eating healthier meals after long training days. 2. Training tones the entire body. While cycling and running in the triathlon improves lower body strength, swimming will strengthen the upper body. In the end, participants have leaner muscles from head to toe. 3. Internal health increases as well. Running, cycling, and swimming regularly can lower blood pressure, fight off obesity and cardiovascular disease, and can improve mental health. 4. There is a smaller chance of injury. With such a strict training regimen, the entire body is stressed, meaning that no one spot is too overworked. With this balanced routine, injury is less likely. A Harvard-educated medical professional, Dr. Elliott Bennett-Guerrero serves as the vice chair for clinical research at Stony Brook Medicine in Stony Brook, New York. Also Stony Brook’s medical director of perioperative quality and patient safety, Dr. Elliott Bennett-Guerrero seeks to ensure patients receive a safe and caring surgical experience. An ever-evolving area of the medical field, perioperative medicine involves the many factors of care patients need before, during, and after a surgical procedure. Care for surgical patients is often highly personalized to the needs of the individual, and because of this, extensive training is needed to best handle all situations and minimize any problems that may arise during a procedure. Perioperative medicine also has grown to include the very complex study of anesthesia. While anesthesiologists have often worked only in the operating room, today these professionals are branching out to also handle perioperative practices, often in the areas of acute pain management and postoperative care. A graduate of Harvard Medical School, Dr. Elliott Bennett-Guerrero has leveraged his medical expertise to serve as the vice chairman and professor of anesthesiology at Stony Brook Medicine in New York. Also an accomplished researcher, Dr. Elliott Bennett-Guerrero maintains a professional interest in topics such as surgical site infections (SSIs). In November of 2016, the World Health Organization (WHO) published a list of “Global Guidelines for the Prevention of Surgical Site Infection” to set a new precedent for patient safety. By examining the most recent SSI data, nearly two dozen medical experts developed 29 recommendations for all stages of surgery. Suggestions on the list include using the correct sutures, knowing when to prescribe antibiotics, and ensuring patient cleanliness prior to surgery. The new guidelines are helping address a number of global healthcare issues. SSIs are becoming a widespread problem in developing nations, where more than 10 percent of patients get infections after operations. Even in some of the world’s richest nations, SSIs have contributed to staggering healthcare costs and extended hospital stays. By following WHO guidelines, medical professionals around the world will be able to improve patient care and help combat pressing medical issues such as antibiotic resistance. Finally momentum is growing to curb factors that contribute to opioid overdoses!!! Dr. Elliott Bennett-Guerrero is a Harvard-educated physician with more than two and a half decades of experience in anesthesiology and critical care medicine. In 2015, Dr. Elliott Bennett-Guerrero became the vice chair for clinical research at Stony Brook School of Medicine, where he also serves as a professor and the medical director of perioperative quality and patient safety. – Staff and administration of an HRO are continuously aware of the processes affecting their facility. Operations are closely monitored, and problematic systems are quickly noted and corrected. – HROs recognize that easy explanations are not always applicable to problems faced by their facility. These organizations avoid over-simplification of processes and quick acceptance of generalizing the source of the problem. They instead seek a specific cause, which will guide them to the best-suited solution. – At every level of an HRO, staff are on alert for ways in which the system may break down, enabling preemptive correction. Close calls are taken seriously, recognized, and examined before patients can be harmed by the errors. – High-reliability organizations do not attempt to succeed unassisted. When a question or uncertain situation arises, they look to knowledgeable individuals within or beyond their ranks, eschewing seniority for expertise. As a professor and the vice chair for clinical research at Stony Brook Medicine in New York, Elliott Bennett-Guerrero, MD, serves as medical director for perioperative quality and works to improve patient safety. 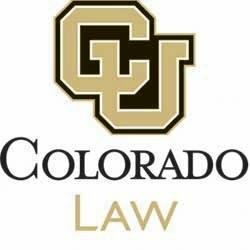 Dr. Elliott Bennett-Guerrero also supports a scholarship for aspiring public defenders at the University of Colorado Law School. The University of Colorado Law School offers a criminal defense clinic that is taught by Ann England. Through the clinic, law students assist people who have been recently charged with misdemeanors. The students are able to put into practice what they have learned by offering their skills to clients who might not otherwise be able to afford legal services. Some types of cases students may handle include representing clients who have issues with DUIs or individuals whose partners have taken back domestic violence charges. The clinic is offered in one or two semester sessions, where the professor works one-on-one with students in a class no larger than 12.